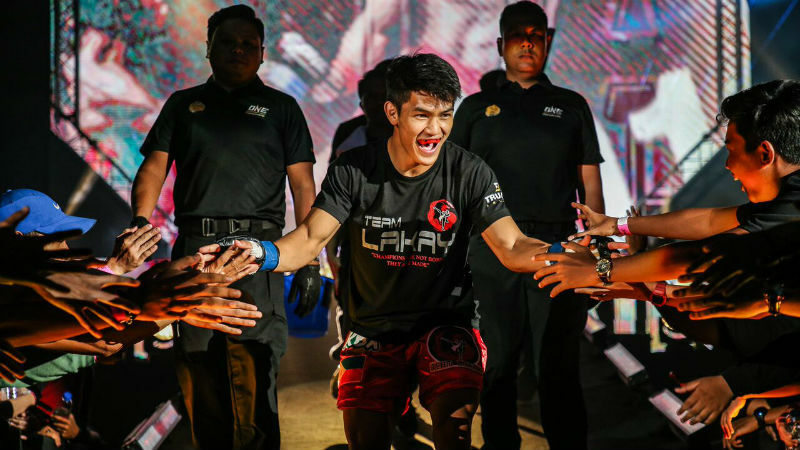 Team Lakay stalwart Danny “The King” Kingad must on cloud nine these days. With his young MMA career clearly on the way up, an addition to his growing family might just be the icing of the cake to put more motivation for him to perform even better that could take his career, not to mention his personal growth, to greater heights. On August 14, he and his partner, Jannine Vera Kate Dominguez, welcomed a another body to their family as Dominguez gave birth to their first-born child named Gleuordan Adriel at the SLU Hospital of the Sacred Heart in Baguio City. Naturally for a first-time father, Kingad was at a loss for words when he first saw and held his newborn child and, quite similar to his professional mixed martial arts career, admitted raising his son properly will pose a challenge. “This is a huge blessing for our family. Having him in my life felt like winning a world title. I am out of words as to how I will describe my happiness. This is one of the most meaningful moments in my life. I hope and pray that I can be a good role model to my son. I will be the best father that I can be,” he said. Kingad pointed out there is now an extra sense of responsibility he brings into training, as well as an added dose of motivation. “I know I’m not fighting just for myself anymore. Now every time I go to work, I give a little bit more — for my son,” Kingad added. The 22-year-old Baguio City native hopes that his son would be proud of him, not only because of his vast achievements in mixed martial arts, but more importantly because of how he is as a father. “My goal as a father is to be a good provider, protector, teacher, and a good role model to my son. Right now, if that means I have to go to the gym day and night and give my all to training so that I come out triumphant on September 22, then by all means. I will win it,” Kingad declared. Kingad is slated to duke it out with Japanese newcomer Yuya “Little Piranha” Wakamatsu on the undercard of ONE: CONQUEST OF HEROES, which takes place at the Jakarta Convention Center in Indonesia on September 22.